New York Times bestselling writer/creator Robert Kirkman (OUTCAST BY KIRKMAN & AZACETA, INVINCIBLE), Eisner award nominated artist and co-conspirator Charlie Adlard, inker Stefano Gaudiano, and greyscalist Cliff Rathburn will launch a new story arc in the bestselling Skybound series THE WALKING DEAD. Previously in THE WALKING DEAD, Rick Grimes was betrayed. In THE WALKING DEAD #151, a call to arms is issued. 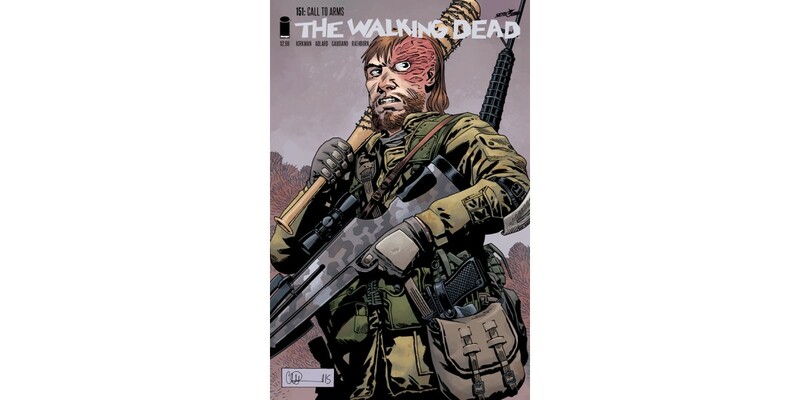 THE WALKING DEAD #151 (Diamond code: DEC150554) hits stores Wednesday, February 3rd. Final order cutoff deadline for retailers is Monday, January 11th.